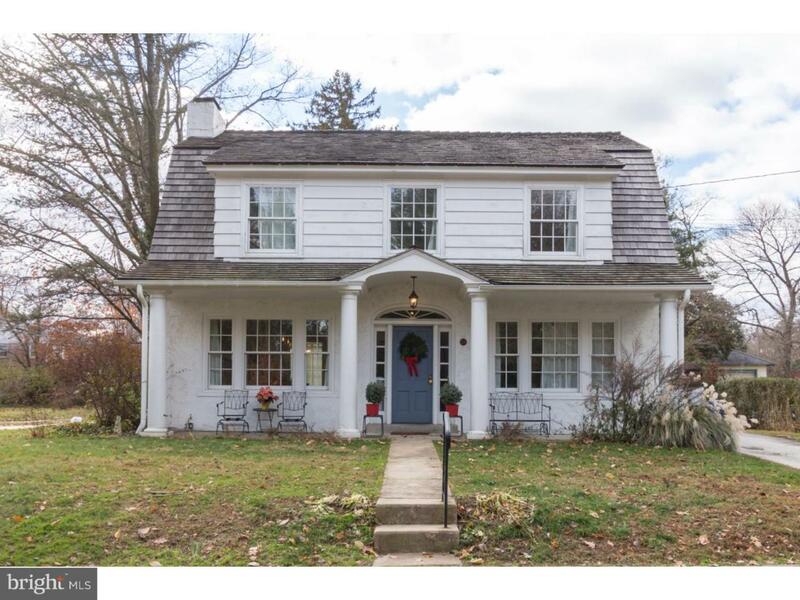 This charming four-Bedroom home with two full Baths in coveted downtown Swarthmore is ready for its next owner! Nestled on a corner lot, a covered front Porch, great for enjoying your morning coffee, welcomes you into this entirely updated, bright and character-filled home. 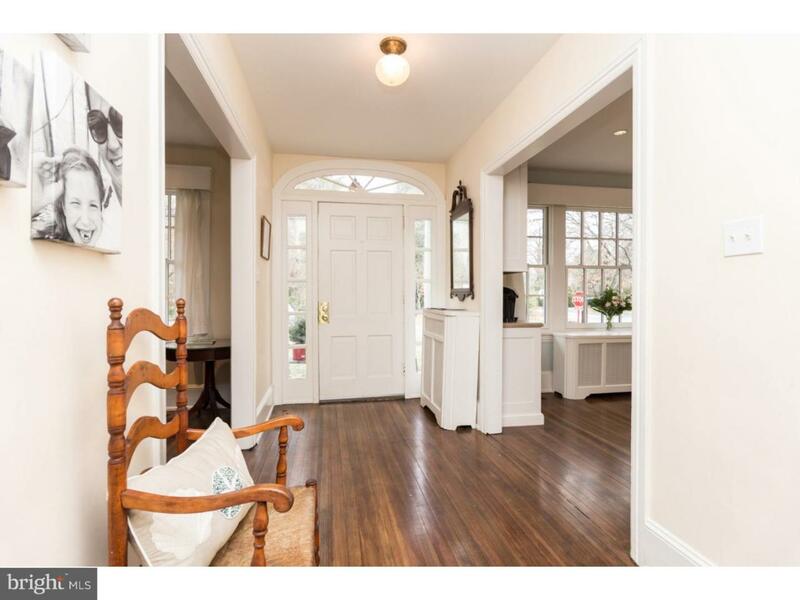 Enter through a light and airy Foyer with rich hardwood floors throughout. Turn to the left and you'll find a newly renovated Kitchen with custom cabinetry, high-end appliances and a fireplace. The center island with a butcher block counter top serves as focal point. Behind the Kitchen is a graceful and sun-filled Dining Room with casement window-lined walls. 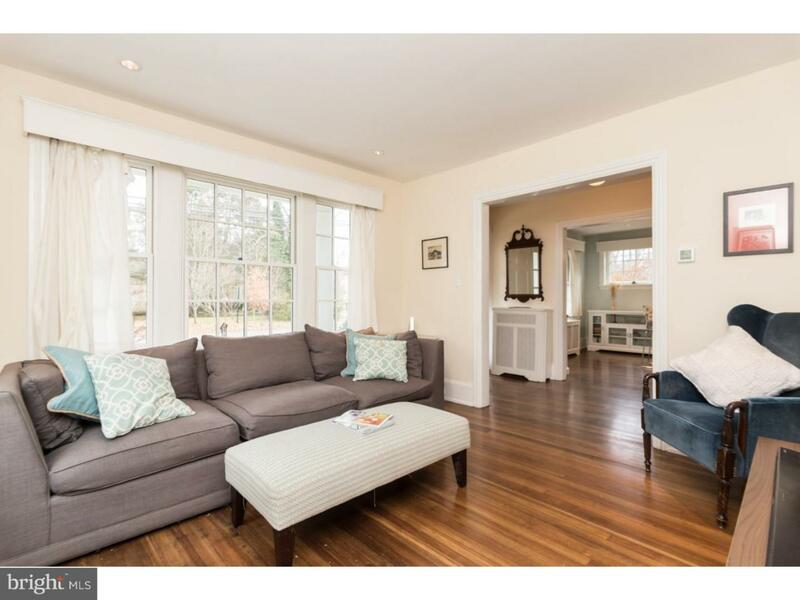 To the right of the Foyer is an open Living Room with ample space for seating, leading to an additional Bedroom with full Bath that can also be used as an Office or Den. Upstairs are three more good-sized Bedrooms, each offering bright and sunny spaces, charming nooks and generous closets. Off of the Master Bedroom is a Study or Reading Room and walk-in closet. The stunning central Hall Bath, with a double sink vanity and spa-like shower, is also accessible from the Master Bedroom. The third floor walk-up Attic has been converted into a Bonus Room ideal for a Playroom or just a place to hangout, while the unfinished Basement boasts abundant built-in storage. 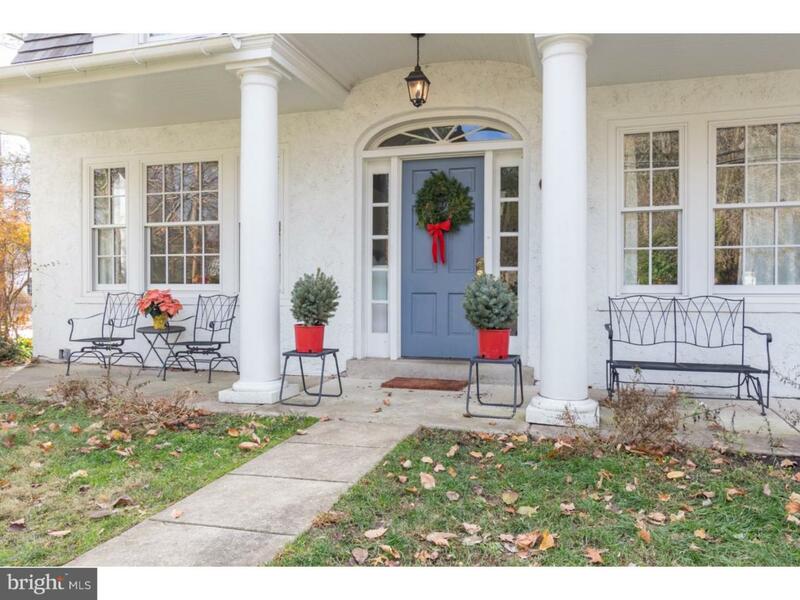 Make this lovely home yours and you'll live within easy walking distance to Swarthmore's downtown, home to neighborhood favorites like Hobbs coffee shop, the Swarthmore CO-OP, Broad Table Tavern as well as SEPTA regional rail. Efficiency upgrades include new windows throughout, two-zoned air conditioning, cedar shake roof and a brand new boiler.